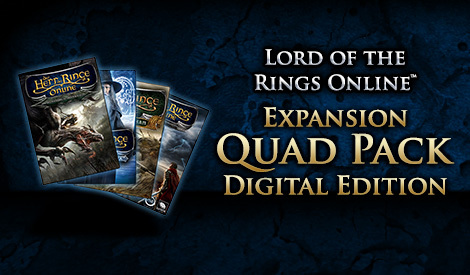 Get all four Award-winning The Lord of the Rings Online™ Expansion Packs in a single purchase! 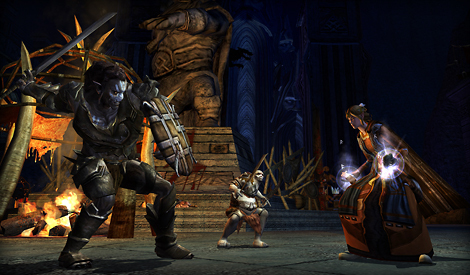 Delve into the dangerous depths of Moria, and try to reclaim its dark halls from the evil burrowed within. - Over 350 quests designed to support player levels 50 - 60. - Seven full fellowship instances (Dark Delvings, Fil Gashan, Skumfil, The Sixteenth Hall, The Forges of Khazad-dum, The Grand Stair, and The Forgotten Treasury). - Two 12-person raids (Filikul and The Vile Maw). - Heal or deal damage with a Rune-keeper or use powerful attack combos and self-healing as a Warden! - Raise the rank cap on your skirmish soldier and skirmish traits to 15, allowing you to further train your soldier and increase its effectiveness in skirmishes! 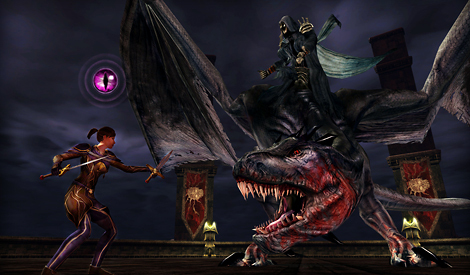 - Live the legend of two more heroes of Middle-earth with 2 additional character slots! Join the elves of Lothlórien in war against Sauron among the ancient ruins, spider-haunted canyons, and foul bogs of Mirkwood. - 150 quests designed to support player levels 60 - 65. - Three 3-person instances (Dungeons of Dol Guldur, Sword-hall of Dol Guldur, Warg-pens of Dol Guldur). - One full fellowship instance (Sammath Gul). 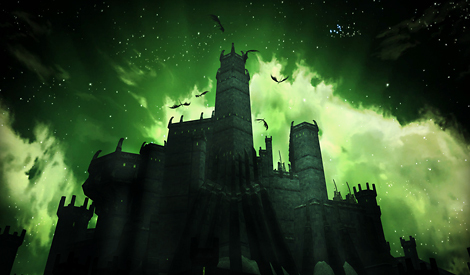 - One 12-person raid (Barad Guldur). - Raise the rank cap on your skirmish soldier and skirmish traits to 25, allowing you to further train your soldier and increase its effectiveness in skirmishes! Journey eastward toward the tower of Orthanc where an army of Isengard Orcs and Uruk-hai make ready for war. 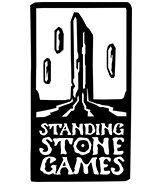 - Over 375 quests designed to support player levels 65 - 75. - Three 3-person instances (Fangorn's Edge, Pits of Isengard, Dargnakh Unleashed). - One full fellowship instance (The Foundry). 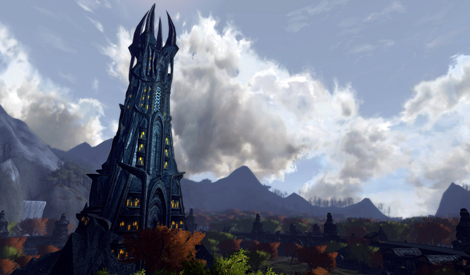 - One 12-person instance (The Tower of Orthanc). - One 12-person raid (Draigoch's Lair). - Raise the rank cap on your skirmish soldier and skirmish traits to 35, allowing you to further train your soldier and increase its effectiveness in skirmishes! Ride into Combat atop your loyal War-steed as you defend the people of Rohan from the forces of Isengard and Mordor. - Journey through hundreds of new quests designed to support players levels 75-85. 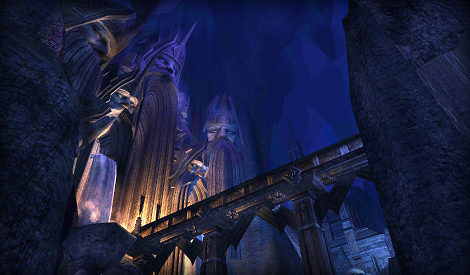 - Explore landscape nearly three times as large as Moria! 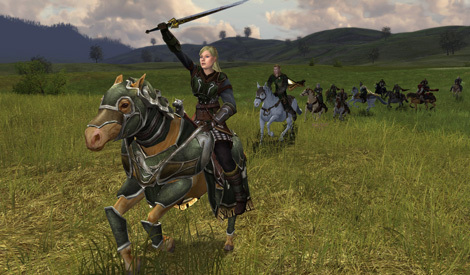 - Customize your War-steed’s armor and level its skills over time to aid you in mounted defense of King Théoden’s lands. 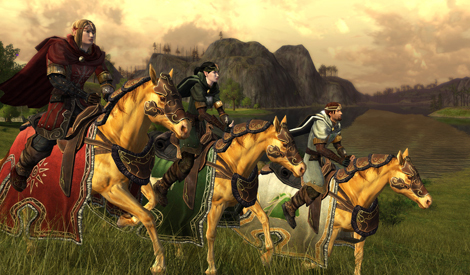 - Receive an exclusive Rohirrim Mount and in-game Rohirrim title! - Witness the breaking of the Fellowship at Amon Hen; forge alliances with the Ents of Fangorn; and aid Éomer, nephew of Théoden, as he seeks to protect his homeland from the growing Shadow.